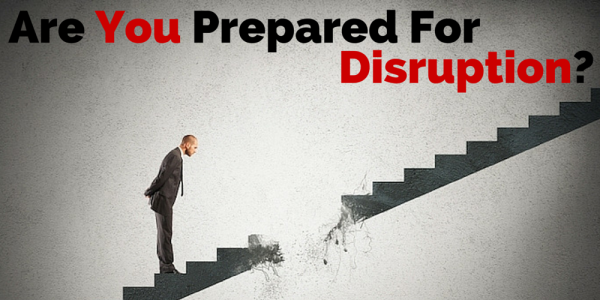 HomeConsultingConsulting – Disruption’s Final Frontier? Consulting – Disruption’s Final Frontier? On a visit to Ireland recently, well known business author and MIT lecturer Prof David Robertson told his audience that disruption is overrated. He added that Steve Jobs wasn’t a disruptor at heart but an incremental innovator. These assertions are quite startling in a world where disruption has become the new normal for many business sectors. But Prof Robertson wasn’t actually denying the existence or importance of disruption, he was merely putting it in context. He was saying what most of us have known instinctively for a very long time, inefficient industries have to change or die. But they rarely get wiped out. Take Ireland’s great disruptor, for example. Ryanair didn’t start out with an agenda to revolutionise air travel. In its early days the airline just wanted a small slice of the lucrative Dublin-London corridor and a share of some other popular routes. Faced with predatory pricing and other strongarm tactics from the incumbent players the fledgling airline was forced to change its model. Aer Lingus, British Airways and so on are still with us but the cost of flying between Dublin and London is now a fraction of what it was in 1990, even when you don’t adjust for inflation. The airlines that responded survived and thrived, those that didn’t – like Sabena – have disappeared into history’s dustbin. It may seem hard to believe now but IBM, the great Big Blue, once nearly went the way of Sabena. “No one ever got fired for buying IBM”, was the mantra the company lived by up until the 1980s. Then along came a bunch of innovators led by Jobs and Gates who turned the computing and technology worlds upside down. Former titans like Wang and Digital disappeared while IBM posted the biggest quarterly loss in corporate history. Big Blue changed and changed fast. Out went the old arrogance and inefficiencies and in came a new customer focused culture which saw the company effectively get out of manufacturing and become a global services player. Fast forward to today and the great disruptors are Uber, Airbnb, and Deliveroo. But wait a minute, taxis are still plying their trade, the hotel business is booming, and it is as hard as ever to book a table in a decent restaurant. What happened? In the case of taxis and hotels at least, the answer is simple. The segments of those industries most under threat responded and became more efficient and customer focused. Apps like Lync and MyTaxi offer all the service advantages of Uber with none of the trust downsides while the budget hotel sector has upped its game sufficiently to differentiate itself from Airbnb offerings. On the other hand, it turned out that Deliveroo was literally catering for an unmet need among consumers and creating a new market in the process. But where does this leave the consulting world? This is a sector which has remained remarkably untouched by disruptors so far. In fact, the sector has profited greatly from advising clients in other sectors on how to respond to disruption. But the storm clouds of disruption are gathering around it. AI is going to have a profound impact on accountancy, for example. Not only will routine bookkeeping tasks be automated but reasonably high-level accounting decisions and interpretations will be made by the technology. The days of the audit junior may be coming to an end. In the short term at least, this may spell good news for the profits of the major firms who will be in a position to invest in the latest technology. But it will also have implications for clients who will start to question fee structures which see them paying machines at the same rate as humans. They may have been willing to pay inflated rates for junior consultant time in the past, but they will refuse to pay top dollar for automated processes. Technology will also have the effect of democratising the industry. The major firms which have been able to command premium fees mainly on the basis of brand reputation up until now will see the world changing around them. One robot will be as good as another regardless of the badge it wears. The same applies to human consultants and consultancy. Clients are already beginning to question what they are paying for. If a firm needs some help with a particular project, why should they pay huge fees and enter into an open-ended contract with a firm when all they need is a few days help from a subject expert? Of course they shouldn’t. And, in increasing numbers, they aren’t. The gig economy has come to consulting. Firms can now retain expert consultants for short-term, fixed price assignments across an ever-widening spectrum of areas including finance, digital strategy, technology implementation, marketing, process improvement, manufacturing, quality management, supply chain management, energy, human resources, market research, and the list goes on and on. Demand for our panel of experts at ReganStein is growing all the time and we are constantly on the lookout for new experts to join the team. And we are not unique. This is in line with international trends. Consultancy is being disrupted and the model is changing. The legacy airlines survived by becoming more like Ryanair; the consulting firms will survive by becoming more like ReganStein.